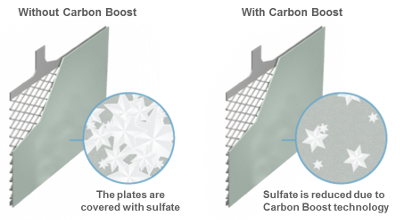 The new Premium Carbon Boost battery recharges up to 1.5 times faster due to Exide’s proprietary application of carbon additives on the negative plates. 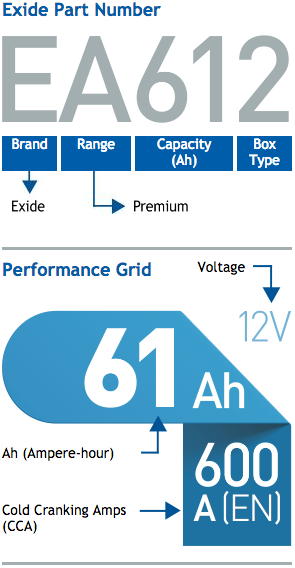 This technique was discovered during the development of their AGM and EFB ranges, leading to improved charge acceptance and a significant reduction in charging times. The Premium Carbon Boost battery is designed to withstand extreme temperature, power-hungry electrical equipment and intensive urban driving. Why do Groves sell this and what are our recommendations? 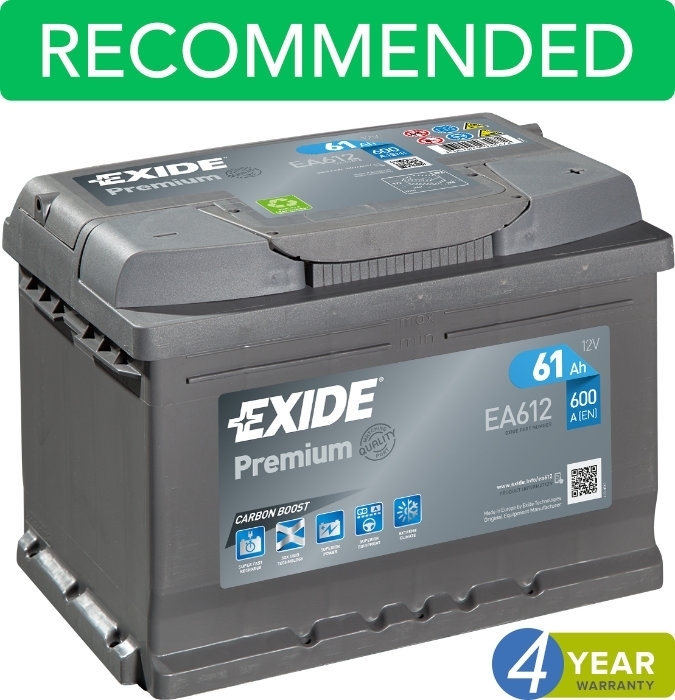 The Exide Premium is our go-to recommended range of batteries. 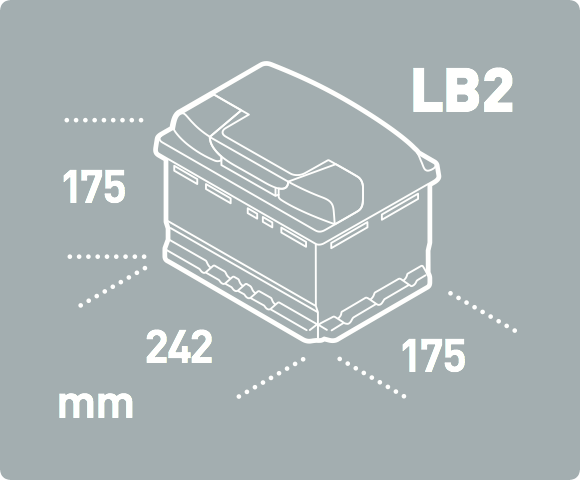 They come with a 4-year long warranty and pack the power and capacity that modern vehicles need. 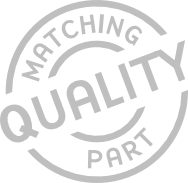 We have been supplying Exide for well over 40 years, and we believe their quality and value goes above and beyond the competition. During discharge, non-conductive sulphate particles progressively cover the negative plates, isolating them from the electrolyte. This means a lot of the energy intended to recharge the battery is needed to dissolve the sulphate, which makes charging less efficient. 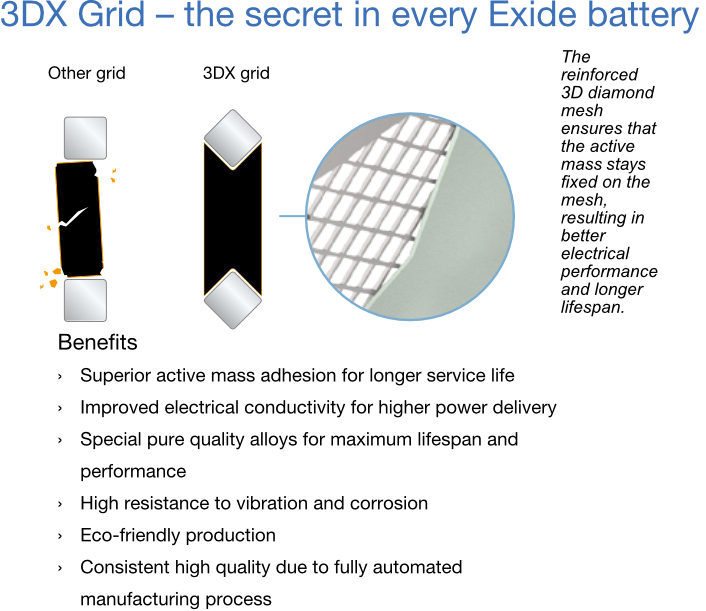 The high-surfaced carbon additives in Exide’s Premium Carbon Boost battery provide superior conductivity, dissolving the sulphate particles much faster; effectively making it easier to recover and faster to charge if it goes flat. 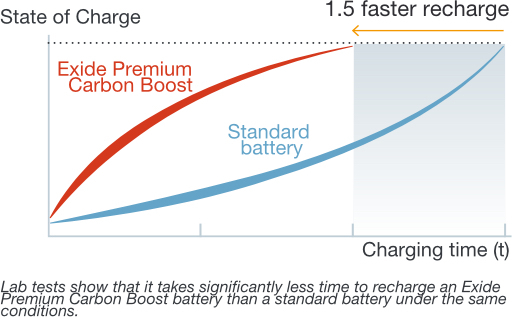 Premium Carbon Boost has improved charge acceptance and recharges up to 1.5 times faster than standard batteries. While battery failure remains the number one cause of car breakdowns*, fast recharging considerably reduces the risk of breakdowns by helping the battery retain a healthy state of charge for longer.